MADAME NAEGUELI, pupil of Bochsa, gives lessons on the harp and flower painting. MADEMOISELLES NAEGUELI, pupils of Herr Nast, Madame Ronchetti, and Signor Vercellini, give lessons on the pianoforte, in Italian, German, English, and French singing, the German and French languages, and drawing. References permitted to Dr. Macfarlane, Gilbert Elliott, Esq., - Morehead, Esq., and Francis Mitchell, Esq. 10, Elizabeth-street North. December 24th, at Christ Church, by the Rev. Canon Walsh, M.A., incumbent, R. Rupert Ewen, Esq., of Kingsdown House, Bathurst, to Wilhelmine Eliza Mary, eldest daughter of the late Herr Naegueli, of Canton Berne, Switzerland, and grand-daughter of the late Rev. Dr. Richardson, Vicar of Great Dunmow, and head master of Dedham Grammar School, Essex, England. On the 29th instant at her residence, No. 2, Hyde Park-terrace, MARY, relict of the late Colonel FREDERICK NAEGUELI, of Bern, Switzerland, and daughter of the late Rev. Alexander Richardson, D.D., Rector of Dunmow, and Head Master of the Royal Foundation Grammar School, Dedham, Essex. NAEGUELI. - May 23, at Parramatta, Mdlle. Mary Naegueli, professor of music and languages. The company were taken by surprise by the appearance of Mademoiselle Leon Naej from behind the scene, attired as the Goddess of Liberty, in which character she sang the "Star spangled Banner" in a spirited and effective manner, and was received by loud plaudits. ... Madame Leon Naej sang an air from "Il Trovatore," and another from "Don Pasquale," the latter in answer to an encore, and in both was loudly applauded. Miss Naej presided at the piano, and played several beautiful solos with great taste and skill, especially the solo "When the Swallow". Miss Felicia Naej sang very sweetly "Oh, Steer my Bark to Erin's Isle," and "I'll be no Submissive Wife." Charles Nagel, "gentleman", became an ensign in the 97th Regiment in June 1826, and a lieutenant in December 1829. He arrived in NSW in time to be present at the King's Birthday celebrations in May 1837 and became a grazier in the Upper Hunter region (his name sometimes spelt "Nagle" in the press). Two more songs were advertised for a revival at the City Theatre in May 1843, Maid of Castile ("sung by Mrs. Wallace and composed expressly for her by C. Nagle, Esq.") and Little girls and boys (for Mrs. Ximenes), but in the event were reportedly not performed. See also Nagel's Farewell address to the 28th Regiment (on their departure to India; spoken at the Royal Victoria Theatre, Sydney, New South Wales on the evening of the 14th June 1842), delivered before a performance of the Catalani. His next work, Shaksperi conglommorofunnidogammoniae ("a musical extravaganza in one act by Charles Nagel") was published by W. A. Duncan in October 1853, and staged in 1844, however it contained no original music, his songs being set to standard airs. Nagel also indicated that the tune Oh dear, what can the matter be? was to be used for an instrumental piece; there was to be a "fight to the tune of a gavotte"; Hamlet's Ghost would rise "to the Tune of Paddy Carey"; there was a song to the tune Here's to the maiden of bashful fifteen; and a finale to Yankee Doodle. Nagel also wrote the libretto for Isaac Nathan's first Australian opera, Merry freaks in troublous times (1843; published edition later; libretto published separately). Dating from August 1855, is his only other surviving song setting The banner of old England ("A Song dedicated to the Blue and Red Jackets, by an Old Soldier"; "New Zealand 1845 Tahiti"; "Words and Music by Chas. Nagel, Esq."). The Nairnes, from Scotland, had arrived in Hobart Town in 1822. In 1825, Charles applied by advertisement for the vacant post of cashier of the Bank of Van Diemen's Land (on account of previous experience in banking in Scotland), but settled instead to farming, at Coal River, near Richmond. In 1829, Charles was widely rumoured to have fathered a child by a convict servant, Mary McLauchlan, who was later convicted of killing the child. The Tasmanian very pointedly printed Nairne's name in capitals in reporting her execution in April 1830. The Nairnes had re-settled in Launceston by 1834. Charles died in Sydney in February 1842, aged 46 (their eldest son, also Charles Ross, died in 1845), and by 1843 (probably earlier) and until mid-1845, Catherine was organist of St. John's, Launceston. Her most notable musical venture was her 1843 oratorio, which appears to have been inspired by, and compared unfavourably with, a similar recent concert of sacred music given by the visitors John and Eliza Bushelle. One later memorist appears to confuse Nairne with her daughter-in-law, Hannah Capon, who married Charles Ross junior in 1844. Kowalski's "Twilight of love" was so well sung by Miss Marie Narelle that an encore resulted. MUSIC. MRS. NASH is prepared to receive PUPILS for INSTRUCTION on the PIANOFORTE, at her residence, Wright-street, opposite St. Luke's Church. Schools and Families attended. Adelaide, July 7, 1856. On Wednesday evening, a concert, instrumental and vocal, was given at this Institute, on which occasion there was in attendance a respectable audience, consisting of about 80 ladies and gentlemen. The concert, under the direction of Mr. Chapman, commenced With an overture, which was played with much precision and effect. Several songs followed, amongut which might be mentioned "Good bye, sweetheart, good-bye," sung by Mr. Nash. This vocalist has a very fair voice, but it would produce a much better effect if be could get rid of the curious mannerism of closing and opening his eyes in a my that produces laughter when the audience should be moved by quite other feelings. He was, hewever, encored in this song, and deservedly so . . .
WHITE'S BOOMS. TUESDAY, February 7, 1860. FIRST OF THE SHILLING CONCERTS! Leader - Mr. Chapman. Pianist - Mr. Richelieu. Cornet-a-Piston - Mr. McCulloch. Vocalists - Mrs. A. Wallis (first appearance since her arrival from Melbourne). Miss Louisa Grant (from tho City Hall, Glasgow), her first appearance in Adelaide. Tenor - Mr. Nash. Basso - Mr. Ball. Local Songs by the celebrated Nondescript, and Sam Cowell's burlesques in character. The strictest order will be observed, and the study of the Manager will be to provide a cheap, rational, and first class entertainment. The announcement of the death of Mr. Benjamin Nash, who was one of the representatives of West Torrens in the House of Assembly, will be received with very general regret . . . Mr. Nash was born at Birmingham on March 5, 1829, and in 1855 arrived in Melbourne, remaining there for three months before coming over to Adelaide in July of that year. Some time afterwards he opened up a business in Leigh street as a tailor . . . From 1858 till 1865 Mr. Nash was a member of the West Adelaide contingent of volunteers, who served under Colonel Mayo, and he carried out the first contract in the colony for the manufacture of uniforms, the number being 1,800. He was specially fond of muslc, and up to the last retained a very powerful tenor voice, which he delighted to exercise. Mr. Nash, who was married twice, leaves a widow, two sons (Messrs. J. G. Nash, an engineer of this city, and Mr. J. F. Nash, of Sydney), two married daughters (Mrs. J. J. Leahy, wife of a well-known contractor, and Mrs. T. Carter, of Roseworthy), and one single daughter . . .
... The next was an exquisite air, and trio, of Fitzpatrick, Father of Mercy, very beautifully sung by Mrs. Maycock, Miss A. Trigg, and Mr. G. Nash ... the fine bass of Mr. Nash rendered the harmony complete, and left nothing for the most critical ear to cavil at. Mr. H. G. Nash's Record. "I began my career as a chorister in what is now known as the Christ Church Pro-Cathedral, Ballarat, shortly before I reached my 21st birthday, and, as I am still a member of the St. Peter's Cathedral Choir, I consider I have attained my jubilee in choir work," remarked Mr. H. G. Nash to a reporter on Saturday. Mr. Nash has retired from the railways service on account of the age stipulation, after 43 years' service in the department. He is the only foundation member of the choir of St. Peter's Cathedral, North Adelaide, who is still contributing his services. The choir was inaugurated in 1878. Mr. Nash was born in Tasmania on December 7, 1845, and when very young was taken by his parents to reside in Victoria. He lived in Geelong for about six years, and received his education at the Geelong Grammar School. He regards with pride the fact that he was one of the first scholars to go into the new building. A Veteran Baritone. Mr. Nash is an old musical identity in Adelaide, and has delighted many large audiences with his excellent baritone voice. Almost immediately after his arrival in South Australia he joined the choir of St. Paul's Church, and the old Adelaide Philharmonic Society, in which he made his first public appearance as a soloist in this province. On that occasion he sang the baritone solos in Mendelssohn's 'Elijah'. From that time onward he took part in many of the principal concerts held in Adelaide, and had the privilege of singing with such well-known vocalists as Mrs. Palmer, Miss Ada Crossley, Madam Kate Thayer, Madam Antoinette Sterling, and Messrs. Charles Santley, Armes Beaumont and others. He has sung solo parts in 'The Messiah,' 'The Creation,' 'Judas Maccabeus,' ''Calvary,' 'The Redemption,' 'Israel in Egypt,' and numerous cantatas, the most important being Cowen's 'Sleeping Beauty', 'Damon and Phihias,' and Gade's 'Lion.' In the last-named work - which has been rendered three times in Adelaide - Mr. Nash has sung the baritone solo (the only solo in the piece) on each occasion. The last performance was only a week or two before his 70th birthday, when the work was given at the last Advent Oratorio service in St. Peter's Cathedral. Some of his musical friends then remarked that he had never done anything better. Mr. Nash himself considers that in the singing of this beautiful but most trying solo he has been at his best. A Notable Performance. An event upon which the veteran linger looks back with particular satisfaction was be notable production by the late Adelaide Musical Association of 'The Sleeping Beauty' in the Jubilee Exhibition Hall in 1888 [recte 1889], at which it was estimated between four and five thousand people attended, the whole of the floor space of the building was occupied. The performance was conducted by the composer (Sir Frederick Cowen) himself, who had completed his enragement as musical director of the Melbourne Exhibition concert in 1887 [recte 1888]. Mr. Nash sang the baritone solos, and has always considered it to be the most important concert in which he has participated. Another notable work with which Mr. Nash was associated was the presentation by the St Peter's Cathedral Choir of Brahms's 'Requiem,' about 12 years ago, when he took the principal part. As Enthusiastic as Ever. Mr. Nash has pleasant recollections of his association with Madam Kate Thayer, the gifted American soprano, who came to Adelaide about the year 1880 [recte 1882], and gave a series of 12 Saturday popular concerts which were so well received that she arranged an additional 12. Mr. Nash was engaged at the whole 24 concerts, and had be satisfaction of being assured by Madam Thayer that his services had materially added to the success of the undertaking. Although the veteran singer has more than reached the proverbial three-score years and ten, he is still as keen as ever, and loves his work in the Cathedral Choir as much as he did in his younger days. From their first appearances in Adelaide in 1864, theatrical manager Barnet Moses Nathan toured his young family in Australia and New Zealand during the 1860s before leaving for California in 1870. A complimentary benefit will be given on Friday night at the theatre to the clever young family of Mr. Nathan, the acting manager. The performances will consist of the Easter pantomime, which will be played first, a musical melange by the Nathan Family, and a laughable afterpiece. At the Theatre Royal last evening the performances of the Nathan Juvenile Troupe constituted the sole entertainment provided. This company consists of the Nathan family, viz. ; Mrs. Nathan [sic], Mrs. B. M. Nathan, the children, Julia, Selina, Edward, Louis, and Marion Nathan; and Messrs. J, Small and J. Chambers. These performers undertook the whole business of the evening, which included the representation of three pieces, to wit, the comedy of "Andy Blake", the farce of "The Colonial Servant", and "The Happy Man", and a duet on the cornet-a-piston by Masters Edward and Louis Nathan ... It is proper to state that the youngest Miss Nathan is an "infant phenomenon" of a most pronounced type - a sort of sublimated Ninetta Crummles. Her infantine graces, dancing, mimicry, and humour, could not but amuse while she was on the stage ... this youngest Miss Nathan ("la petite Marion", as she is designated in the playbills) is indeed a wonderful young person. Nathanson arrived in London on the John Bull from Hamburg on 14 March 1859. Described on the passenger manifest as a "farmer", aged "25", he departed from Liverpool on the Tudor on 17 July 1859 sailing for Melbourne, Australia. NEW INSOLVENTS . . . Gottfried Nathanson, of Melbourne, dyer. Causes of insolvency - Want of employment, and loss of salary at Sydney and Ballarat as an opera singer. Debts, £33 12s. 10d. ; assets, £2; deficiency, £31 12s. 10d. Mr. Jacomb, official assignee. Relying, we suppose, upon the attractions of Fraulein Fannie and the Leopolds, Signor Bianchi had not announced any operatic novelty during the new season, till Saturday night, when "Il Barbiere di Sivigiia" was produced . . . The remaining part then was Don Basilio, filled hy Mr. Nathanson, a gentleman who for the first time emerged from the obscurity of the chorus, and took his place amongst the stars. The character belongs rather to the passive than the active kind; its vocation is rather to suffer than to do; its humour is quiet, not demonstrative; but there is one thing in it which is always looked forward to with anxious expectation, and that is the famous descriptive song of "La calunnia," in which the gentle rise of calumny and its gradual increase in volume, until it becomes a universal chorus, are so graphically delineated. We are bound to say that Mr. Nathanson acquitted himself with considerable credit in this his opening effort; but like all grand morceaux, the aria is capable of almost infinite expression, and if he endeavours to enter yet more completely into the spirit of tho soug, he may give even a more successful rendering of it. As his voice, however, though clear is not powerful, he would do well to exert himself a little more, and so make the most of it . . .
"On our arrival with the Lyster troupe at this glorious place we had a splendid reception. The town, however, was half shaken down by an earthquake, and people were dying as fast as possible with the small-pox. So you see we had a nice place to come to. But that was not all. We opened a season of opera, but had to close rather sooner than we expected; it was the greatest failure you ever heard of. The people would not have Escott and Squires at any price, in fact, Ted Beaumont, Sutcliffe, and Miss Warden, were the only members of the company they appeared to care about, and the only ones that got any praise in the papers. The season came to an untimely end, and we all burst up. Mr. and Mrs. William Lyster left shortly after for Australia. Fred Lyster, Sutliffe, and Ted Beaumont are now singing at Magoire's Opera-house. Lyster is conductor, Beanmont principal tenor, and Sutliffe principal baritone. They were offered a very good engagement for six months, and as it was the only thing they could do here, they accepted. The people here do not care for any other than Christy Minstrel musical performances. Baker and Kitts have been playing with another minstrel troupe at the Alhambra Theatre, and Geraldine Warden has been very successful in her burlesque of "L'Africaine" at the same house. The only thing we do not like is the black faces, otherwise all is rosy. Squires and Escott have been giving a few concerts in the country, but have not made much out of them. Bachrach, Nathanson, and several others of the company, myself among the number, are about doing nothing particular. Madame Parepa Rosa has offered Beanmont a good engagement for six months after his present term is finished, and he has definitely accepted it. Sutliffe, Baker, and Kitts have been written to by Carl Rosa, and his terms will most likely be accepted. Harry Jackson I hear has also been engaged, and will shortly start for New York. It is Madame Parepa's intention to open her opera season at the French Theatre in New York early in September. Miss Rose Hersee will come from England to appear on the opening night." MADAME GAUTROT'S GRAND EVENING CONCERT, at the Royal Hotel, on Wednesday Evening, December 14. Under Distinguished Patronage . . . when she will be assisted by . . . Mr. Natty, the celebrated violoncelliste, recently arrived from the continent, who will make his first appearance . . . PROGRAMME. PART I . . . Solo - violoncello, Mr. Nattey . . .
[Undated (Bates)]: In the recitative which dealt with Nebinyan's whaling experiences, the whole gamut of native feeling appeared to be expressed: the sorrow of Nebin, as he saw his fire (home) recede further and further away; the stealthy gliding over the water towards the resting whale, the sharp look out, the growing excitement as the huge fish was approached; the great seas that threatened to swamp the whale boat; the swift and sure harpooning; the final surrender of the whale; the triumphant towing back to ship or beach, and the great rejoicing over the whale feast - each of these formed a song in itself, and the actions peculiar to each stage were faithfully rendered. Many portions of the song which had become familiar through frequent recital were chorused by male listeners, who kept a murmuring accompaniment throughout the recital, these choruses encouraging the chief singer and urging him on to fresh efforts by the favour thus shown to his compositions. The words of the song were merely the names applied by the natives to the details connected with whaling, but the actions accompanying the recitative illustrated the whole proceeding. These recitals, which were however not very frequent, often continued until the small hours of the morning, singers and audience being often contentedly droned to sleep by the continuous reiteration. [Image #] 9/73 Nebinyan, whose people saw Flinders Verso: (Pencil note by Bates: This is not correct as when I wrote down Nebinyan's information I did not know Flinders had been here . . . I thought it was Cook and his ship (Manitchmat white cockatoo stock, clearer type) Flinders careened his ship near Two People Bay and while bartering went on, he made kindly contact with the natives. They brought water and wood to the ship to Flinders and his men. Everyone was kind and gentle towards the natives, who believed they were the spirits of their own dead. Before the ship left, Flinders showed his sense of their good behaviour by parading his marines in full dress before the natives. The natives thought it was a corroboree from the country of their dead and the men, taking their clubs, stood at each end of the marines, imitating every movement. They believed they were being shown a heavenly dance and every native studied every movement and motion. As soon as the ship had gone, in friendship and good feeling, the men rehearsed the dance and ochred their bodies (red coats) and whitened the cross bands and imitated every movement. Nebinyan was about 86 when he died (1909-10) (Nebinyan was not born in Flinders' time) and he remembered the markings and the bayonet movements and showed these to me - a unique occasion. Endnote by DMB in pencil: My pencilled copy of Nebinyan's story which never varied in its details was unfortunately rubbed off this photo before being copied and the above printed by my young typist. I had however shown my original pencilling to Mr Archivist Pitt (Public Library) after I had regained Flinders' own notes from Mr Pitt. [1938 (Bates)]: During the whole of my stay at the Katanning camp, a "spirit" fire (beemb) was lighted every evening at a spot a little distance from the camp. The beemb was lighted to the south-east of the huts, and round it a low semi-circle of bushes was arranged, with the opening also facing the south-east. The beemb was placed there to warm the spirit of Nebinyan, the last remaining Two People Bay native, who had died at the Katanning camp. Nebinyan's shelter was to the northwest of Baiungan's hut, and it was Baiungan who lighted the fire nightly in order to intercept Nebinyan's spirit, which she said might return to his own fire, in which case he must go through her hut, and perhaps injure herself or her children, and so the fire was lighted so that the spirit on its way back would rest and warm itself beside it, and come no farther. Needham is one of many once prominent colonial musicians who seem simply to disappear from view. Arundel Orchard rightly described him as a bank manager (60) and locally published works by him are catalogued. Was he, however, the same Pascal Needham who published several books and editions in England around 1900? Apparently, yes. We learn that, as a youngster, he was a favourite pupil of George Loder in Adelaide (indeed, one of his many sons was given the name George Loder Needham). According to a post (2011), family historian Matt Needham suspected his great-grandfather was "a bounder and possible polygamist! He abandoned his wife in WA in the 1880s and returned to England as a music teacher ... One of SPB's elder sons brought him back to Australia in 1910." In the 1891 UK Census he is recorded as a Professor of Music in Tunbridge Wells and claimed to be married to Frances Needham (born 1864, Paddington). In the 1901 census Pascall, aged 53, born Temerton, Devon, was an assistant schoolmaster at the Royal Masonic School Wood Green, London. SPB and Frances had a son, Pascal, 7yo in 1901 (he died in France in 1916). Then followed the Cantata, at which there were one hundred voices, to the accompaniment of the Austrian Band. The opening chorus was sung with great effect. in unison, and was faultless. The solo in the Song of the Shepherds was most ably rendered by the Hon. Mr. Onslow, the chorus being ably supported and in good harmony. In the Chorus of the Pearl Divers, Mr. A. G. Rosser sung the solo with great effect, and the whole was loudly applauded. Mrs. C. L. Clifton in her rendering of the Song of the Pearl acquitted herself well; although her voice at first was rather tremulous she gained confidence and produced an effect upon the audience that will never be forgotten. The Chorus of Nations was well sustained, and the Processional March, played by the Austrian Band, was grand. The Prayer was full of pathos, and the Finale brought to a close the most effective music that has ever been heard in the colony. After the singing of the Cantata, Mr. Francis Hart, the writer, Mr. S. Pascal Needham, who set the words to music, and Herr Baunn, the leader of the Austrian Band, were presented to His Excellency, who complimented them on their several merits. THE following extract from the Adelaide Footlights will be read with interest by the many friends of Mr. Needham, late manager of the Fremantle branch of the Union Bank, and organist of St. John's: An esteemed correspondent sends us the following interesting sketch of the newly appointed conductor of the Melbourne Liedertafel: "Pascal Needham is an Irishman of good family, who has been forced by circumstances into other than the natural environments of a born musician. Until very lately he held a good position in the Union Bank, and after agonising in this inartistic atmosphere for many years, lately resolved to throw aside business trammels and devote himself solely to art. In Australia he was the late George Loder's favourite pupil and friend, Loder having frequently remarked that Needham was his superior in natural musical capacity and profound harmony. It was acknowledged that Needham's Exhibition cantata was best among those produced throughout the various colonies. He had written many strikingly original compositions, but in strict classical form, and amongst other works an opera, "The Fire King" for the production of which arrangements are being made with Carl Rosa. Needham in fact is a master; and Julius Hertz was not slow to recognise this and favoured his candidature for the conductorship mentioned in various reports although, among others, Signor Zelman was anxious to obtain the appointment. Great musicians are seldom celebrated as executants and I fancy Needham in this direction would shine mostly as an organist, an instrument he has played since the age of eight years. But take him as a thorough master of music, as a tone-poet, as a massive harmonist, as an original composer, and I do not believe his superior among English-speaking people exists. He is certainly among the first dozen living musicians of the world." That the son of Samuel Pascal Needham should be a musician was to be expected, and not only on his father's side but on his mother's also did he gain his love for music, one of Mrs. Needham's relatives being Thomas Haynes Bayley, a well-known English song writer. His was a prominent figure in musical circles. The well-known Highgate Musical Society of a few years back, which afterwards changed into the Perth Choral Society, and under both names afforded the people of Perth and Fremantle many a concert of high-class music, owed, apart from the talents of its members, which he carefully developed, the whole of its success to his conductorship. The choir of St. John's, Melbourne-road, owed the high reputation it bore a couple of years ago to his leadership, and other kindred bodies also profited in a similar degree by the lessons they gained under his bâton. As an evidence of the position he held in the city as a conductor it may be mentioned that after Mr. Justice Hensman resigned the conductorship of the Perth Musical Union, the position was offered to Mr. Needham, who, however, declined it. Of his work as musical critic of the WEST AUSTRALIAN, a position he held for some four years, we can only speak in terms of commendation. His intense desire for the most artistic expression of music rendered him, perhaps, somewhat exacting, but his natural kindness caused him to soften what might have seemed the asperities of his criticisms which wore always characterised by a distinct note of originality. There passed away last Monday morning at Nurse Burt's Nursing Home, Lowood, Mr. J. [sic] Pascal Needham, Mus. Doc., he was well known and highly respected by all, especially the musical world. The deceased gentleman suffered for some time from paralysis, which eventually was the cause of his death. He was 68 years of age, and leaves three sons to mourn their loss, one of whom is the Rev. J. S. Needham, who was recently superintendent of Yarrabah Mission, and formerly rector of the Anglican parish of Rosnewood. Neild wrote the words for Cesare Cutolo's March and chorus ("Composed in honor of the opening of the first Intercolonial Exhibition held in Melbourne October 1866", and a pamphlet On literature and fine arts in Victoria (1889). TO THE PUBLIC. OPERA AND MR NEILD. Paying at all limes the deference which is due to the opinions of such an important organ for the dissemination of truth as the Press, we feel it actually due to ourselves when its aim is perverted, for what we must assume to be the gratification of malignity and personal spite, to make the announcement in reply. The new operas produced by us at the Princess's Theatre have been acknowledged by all musical judges to be the best hitherto attempted in this young colony, and for the appliances obtainable not very far inferior to performances in the metropolitan theatres of England. Our Artistes are practised on the London and Parisian boards, our Musical Conductors have held the positions they now occupy in the Opera Houses in London; in the Orchestra we have musicians among the best obtainable, not only here, but in any part of the world; and yet by Mr. Neild, the reporter, an impression of our inefficiency has been created in the public mind, through the medium of the columns of the Argus and Examiner, which has been of serious injury to our undertaking. We are all aware that newspaper reports are read and believed, the feelings that occasionally characterise and color them being unknown to the readers; but in this case it behoves us to draw the public attention to a comparison of Mr. Neild's criticisms with those of all the other public journals, not only to prove the utter incapacity of the writer, his ignorance of the simplest musical matters, and all absence of that feeling for one of the most humanizing arts, but to show that they are contrived with the malicious aim and intention of depriving us of our support as well as ruining our professional reputation in this city. Our position and professional efforts being thus at the mercy of a person, who hides ignorance under the mask of facetiousness, we call upon the public in future to give their own verdict on our merits, and not to place any credence in the statements made by Mr Neild in the columns of the Argus and Examiner. [signed] L. H. Lavenu; Julia Harland; Maria Carandini; Octavia Hamilton; E. Hancock; L. Laglaise [sic]; Emile Coulon; Adolph Schluter; Walter Sherwin; E. King; H. Megson [sic]; S. Chapman; Julius Siede; J. C. Thompson; H. Schmidt; M. Josephson; J. T. Hore; T. McCoy; Linly Norman; A. L. Llewellyn; Charles Manuell; W. C. Harris; W. Baker; Franz Kohler; George Naughton; Cas [? ?] Faur; Lewis Benham; Henry Benham; Edward Hancock; E. Mathews; M. Collins; Theresa Andrew; Emma Parsons; James Mitchell; J. B. Tate; Henry J. King. Neild published his own new song Our sailor prince (National Song), in honour of the visiting duke of Edinburgh, in November 1867. According to one perhaps not entirely reliable report, he was then one of group of younger Sydney composers, including the former Christy's Minstrel C. W. Rayner, and Rayner's friend pianist Alfred Anderson, whose music was being played and promoted by Giovanni Gassner, master of the band of the 50th Regiment. excellent taste and discretion ... Mr. Neild's singing was not the least attractive part of the entertainment. Much later in his career, which was devoted mainly to politics, he also published a book of verse Songs 'neath the Southern Cross (Sydney: Geo. Robertson & Co., 1896). 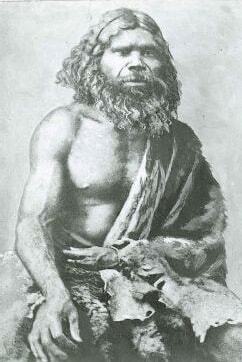 The father of John Shaw Neilson, he came to Australia at the age of 9. He worked at shearing, sheep-herding and road-making, married in 1871 and settled at Penola. In 1881 he took up land at Minimay in SW Victoria, but handicapped by lack of capital in 1889 moved to Nhill, where he relied on road-making for a living. Another move in 1895 to Sea Lake in the central Mallee was disastrous and again he had to turn to manual work. Entirely self-educated, he acquired a reputation as a bush poet, contributing verse from the mid 1870s onward to Mt Gambier newspapers and Adelaide Punch, and later the Australasian and other journals. Sir,- I note in your issue of December, of last year, that a correspondent, Mr. Cecil W. Poole, sends in a few verses entitled "The Song of the Shearer." This song was written by me a few years ago, and appeared first in the Border Watch newspaper, Mount Gambier, South Australia. I have to thank your correspondent for the compliment he pays me in saying that my verses are worth preserving, and I forward a copy of the piece nearly as it first appeared [Waiting for the Rain], and also another song that I wrote entitled "Harvest of the Flock." I should feel much obliged if you could find room for them. - Yours, &c., John Neilson. Booroopki, via Horsham, Victoria, January 6, 1887. Andrew Nelson was founder bandmaster of the Grafton Amateur Band. His own Grafton waltz and Neapolitan mazurka appeared on the first program given by the newly formed band in November 1867. His Galatea polka mazurka was on the second program in December, marking the Australian visit of prince Alfred and his ship Galatea, along with another Galatea dedication, John Dettmer Dodds Jackson's Brave boys brave. His descendent Edwin Wilson kindly informs me (January 20017) that Andrew Nelson had been a naval cadet in the UK at the same time as the prince Alfred; as captain of HMS Galatea, the prince was visiting Australia in 1868. Andrew's son, Frank Nelson (d. 1922), was well-known by his professional pseudonymn, as Oliver Bainbridge, journalist, writer, and traveller. GRAFTON AMATEUR BAND. - The first public performance of the Grafton Amateur band took place on Thursday last, on the Cricket Ground, in Prince-street. The attendance was good, and the way in which the band acquitted themselves, highly creditable. The pieces played were: - Quick March; Selection "La Traviata," Verdi; Grafton Valse, A. C. Nelson; Little Bo-Peep Quadrilles, C, D'Albert; Neapolitan Mazurka, A. C. Nelson; French Polka, C. D'Albert; Dixey's Land Galop, C. Coote, jun. GRAFTON AMATEUR BAND. The above corps gave their usual monthly entertainment on the Cricket Ground, on Thursday las, in the presence of a large gathering, principally ladies. The performance was excellent, and speaks well for the efficiency of the corps. The pieces played were: - 1. Quick March, Gentle Annie; 2. Selection, Christy Minstrel's Song; 3. Valse, Rosalinda, L. D'Albert; 4. Quadrille, Constantinople; 5. Polka Mazurka Galatea, A. L. Nelson; 6. Galop "Brave Boys Brave", J. D. Jackson; 7. God save the Queen. Music. Music. Music. C. E. NELSON (LATE BANDMASTER OF ASHTONS' CIRCUS), HAVING taken up his residence in Grafton, will be happy to RECEIVE PUPILS for instruction in VOCAL or INSTRUMENTAI, MUSIC. Mr. NELSON will wait upon pupils at their residences. We regret to chronicle the death of Mr. A. St. C. Nelson, of South Grafton which took place suddenly yesterday. He was found dead in his room, sitting in his chair having evidently passed away very quietly. Death was due to heart-failure. Mr. Nelson was for many years teacher of the South Grafton Public School. About 40 years ago he resided at North Grafton, but shortly after entering the Public Instruction Department, and we believe was the first State school teacher on the south side. He taught in an old building near where the Anglican Church now stands. After a few years he was appointed to Copmanhurst, but after a time returned to South Grafton, where he conducted the school till he retired on his pension a few years ago. He was well known to all the residents of South Grafton, many of whom, as well as their families, received tuition from him. He was very popular with both parents and children. He had musical ability, and in earlier years was a teacher of music, and frequently figured as an instrumentalist in local bands and orchestras. His entertainments in connection with the school will not be readily forgotten by pupils and public. He lived to see many changes in South Grafton, to which place he was much attached, and when he retired from active service he decided to end his days in the town where he had made many friends. He leaves a widow, three sons, and four daughters. Deceased was 64 years of age. The funeral takes place this afternoon and the City Band will play the "Dead March" at the grave. 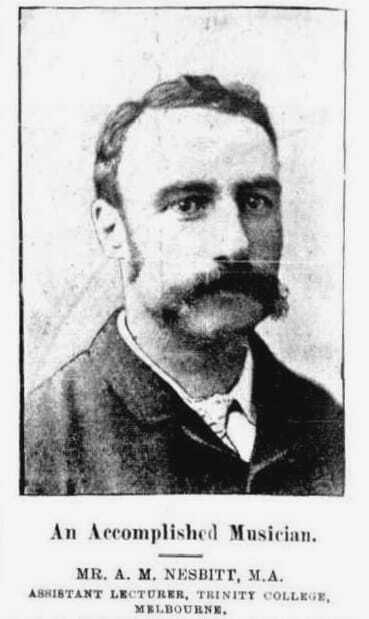 Married James Frederick McFADYEN, ? NEW ASSEMBLY ROOM, AT THE FOUNTAIN INN, MARGATE. IN honour of the Prince Regent's Birth-day, Monday, the 12th of August, 1811, will given a GRAND CONCERT AND BALL, and to be continued every Monday evening during the season. VOCAL PERFORMERS, MASTER NELSON and the rest of Mr. Nathan's Pupils . . .
On Saturday night, Master Nelson, who we understand to be a pupil of Mr. Nathan, was introduced to the public at the Lyceum Theatre. He sang Mr. Braham's celebrated Death of Abercrombie, between the Opera and the After-piece. Although he is only between twelve and thirteen years of age, his voice is a counter tenor. His action and expression were good, the cadences were well executed, and he displayed great taste, promising, as far as we can form a judgment by this first experiment, to be a considerable acquisition to the stage. On Thursday, the 6th of May last, the Governors and Friends of this Institution held their Anniversary Dinner, at the City of London Tavern . . . Messrs. INCLEDON, TAYLOR, PYNE, BAYLIS, SMITH, And Master NELSON, contributed, by their vocal exertions, to the entertainment of the company, who consisted of near 300 persons, and departed at a late hour, highly gratified by a scene which reflects the highest honour on Christian and Jewish benevolence. NEW MUSIC . . . "O Ella dear, those eyes of light!" the admired Song as sung at the Nobilities' Concerts, the maiden production of Master S. Nelson, Pupil of D. Corri, 1s. 6d. . . . Published at Williams's Music Warehouse, No. 29, Tavistock-street, Covent-garden . . .
the Poetry by the Right Honourable LORD BYRON. Principal Vocal Performers, Miss NELSON (Pupil of Mr. Nathan), Miss COPELAND. Messrs. VILLARS, BELLAMY, BARTLEY, JEPTHSON, COPELAND, MARSHALL, WYOTT, And SHEEPPHARD. After the CONCERT A BALL. Admission 4s. each. The Rooms to opened at seven o'clock, and Concert begin precisely at eight. Mr. S. Nelson, the composer of the "Rose of Allandale," "The Pilot," "The Flag that braved a thousand years," and other popular and favorite ballads, has just arrived in this Colony. It is Mr. Nelson's intention to give a concert shortly and also to commence a course of instruction in music and singing. It is one of the most encouraging features of these stirring times that amongst the crowds of newcomers seeking our shores a very considerable amount of talent of every sort is daily arriving amongst us. As one instance of this, we lately alluded to the arrival of Mr. Nelson the composer of many popular pieces. It is the intention of Mr. Nelson to give a concert on Monday evening at the Protestant Hall; at which nearly the whole entertainment will consist of music of his own composition, and the entire performance will be conducted by himself and members of his own family. How many have attempted, and how few succeeded, in the production of a national hymn? How numerous have been the efforts to improve the national song of Britain, and with what unanimity have they all been rejected? The high and holy inspiration, the fire of genius by which the national song of a people is created, has been given to but few since song itself began. While the passion which creates song is all but universal, and patriotism is a passion in every poet's heart, the fact that so few of our poets have succeeded in producing national songs or hymns which the great heart of the people could recognise and cling to, may be taken as the best of all proofs of how peculiarly difficult it has been found to write a true song of the people - a national hymn. If, therefore, the author of the Hymn for Victoria, which lies before us, has at all approached success in the effort he has made to write a national song for this colony, he must be pronounced to have done well. Mr. W. W. Wardell has modestly inscribed this song to the people of Victoria, as "an attempt at a national hymn," and as such we pronounce it to be creditable, and a work of which he needs not to be ashamed. It is spirited and simple, as all songs must be to touch the hearts of men. We take exception to one line only - the 8th of the 1st verse - as it contains a hackneyed idea, unworthy of a place in a patriot's song. That that removed, the song will possess good claims on public attention. The music is by a well known and successful composer, now resident amongst us - Mr. S. Nelson - whose taste in lyrical music is pure and thoroughly English. In this instance he has been very successful. The performance by the Melbourne Garrick Club in aid of the Shakspeare Memorial Fund took place last night, at the Princess's Theatre, in the presence of a crowded audience . . . The overture followed, and the curtain rose, without a moment's delay, upon Shakspeare['s] "Merchant of Venice" . . . Lorenzo was sustained by Mr. W. H. Williams, who in the course of the piece introduced a new serenade to Jessica, written expressly for the occasion, by Mr. S. Nelson. The song is written in the veteran composer's best style, the melody is flowing and sweet, and the accompaniment effective. By most persons familiar with Mr. Nelson's ballads the new serenade will probably be considered superior to "Madoline," notwithstanding the popularity of the latter. Mr. Williams by no means did it justice, and the band completely spoilt the accompaniment, by playing it far too loudly . . .
NEW SONG, SHAKSPEAREAN SERENADE, by S. Nelson, superior to Madoline; with a beautiful title and portrait of Shakspeare. Profits to Shakspeare Fund. All music sellers.
. . . On Wednesday, "Still Waters Run Deep" was tho attraction; and, on Thursday, Mr. S. Nelson took a farewell benefit previous to his departure for Europe. This gcntlcmim has been connected with music, and the Drama for half a century, and is the composer of many pieces of music that have taken a firm hold of the popular ear. He has been resident of Melbourne for the last six years, and is now about to leave for Europe. We were glad to see that the house was crowded, though we could not help mentally contrasting the manner in which the public showed their appreciation of Mr. Nelson, and the way they answered the appeal, made some time since, in behalf of Mr. Whitehead. Still, we do not grudge Mr. Nelson his success . . . Yesterday a few of the friends of Mr. S. Nelson, the well-known composer, met him at the rooms of Mr. Wilkie, mnsic-soller, Collins street, prior to his embarkation for England, and presented him with a purse of 50 sovereigns, as a small parting token of the esteem which he had won during a long residence in Melbourne. Mr. Nelson sailed a few hours afterwards by the ship Marco Polo. In Russell-pl., Fitzroy-sq , of apoplexy, aged 62, Mr. Sidney Nelson, musical composer. 1861 (2 Nov report from NY in ERA 24 Nov) Sara and Carrie Nelson, Mr A Nelson and Maria Henderson are at the Theatre Royal Montreal. We regret to leam, by letters from England brought by the last mail, that the hand of death has fallen suddenly on one who was long resident amongst us, and well kuown, and who only left Melbourne at a recent period to spend the evening of his days in his native land - we allude to Mr. Nelson, the well known composer. After a very protracted voyage - the ship, the Marco Polo, in which he had embarked, having met with a misfortune at sea - Mr. Nelson landed in Liverpool in May last year. Taking his old familiar place in musical circles amongst his early friends, his name was again becoming known to the public of England as a conductor of popular concerts of the Jullien character, and as composer. In March last, he signed an engagement for the appearance of the Misses Nelson (now in America) at the Lyceum Theatre, and immediately afterwards, just as he was leaving the theatre, he was suddenly struck down by apoplexy, and died instantly. [April 7] "Sidney Nelson, the musical composer, died 1862, aged 62. The death is announced of Miss Carry Nelson (Mrs. MacFadyn), the once-popular actress, who has died in London at the age of seventy-nine years. The daughter of Sydney Nelson, composer of "Mary of Argyle," etc., she began her stage career a child of eight by singing a song in Drury Lane pantomime, and by a curious coincidence her final visit the theatre was to see the Drury Lane pantomime last year. In 1851 she went abroad, touring through Australia, America, and Canada for ten years with great success. On her return to England she acted the St. James's. To Kurt Ganzl (2018) for kindly sharing his research findings on the Nelson family. In London in 1882, Nesbitt (formerly a scholar of Corpus Christi College, Oxford) was selected as headmaster of Toowoomba Grammar School in Queensland, arriving there early in 1884 (via Adelaide, where he evidently had relatives, see notice of his marriage in London in the Adelaide press in 1880). His Jubilee Ode (1887) won a prize offered by the Brisbane Musical Union. After moving to Victoria in 1888 to take up a lectureship at Trinity College, Melbourne, his Minuet in D was one of the few works by local composers to be performed by the Centennial Exhibition Orchestra. By 1903, he was music reviewer for The Age. The judges in the Jubilee Ode Competition for a prize of 50 guineas offered by the Brisbane Musical Union, concluded their labours on Monday night. Up to the last day for receiving competitions (30th April), four had been sent in. Subsequently two others were received, but although these were handed to the judges their merit was such as not to affect the result. The judges, who were Dr. W. S. Byrne, Mus. Bac., Hon. W. Horatio Wilson, M.L.C., Messrs. R. T. Jefferies, W. Graham Willmore, and Samuel Kaye, held several meetings in addition to making special personal examination of each work. The final meeting was held last Monday night, and shortly after 10 o'clock the report of the judges was placed in the hands of the committee. They awarded the prize to the composition bearing the motto, "Coelum non animum," &c, as they were unanimously of opinion that it was the best submitted to them. At the same time, they wished to commend the ode marked "Regis ad exemplar" as a work of great merit. The sealed envelopes having been opened, it was found that the winner of the first prize was Mr. A. M. Nesbitt, head master of the Grammar School, Toowoomba. The second in point of merit was found to be Dr. Alan Walters, conductor of the union. The six compositions sent in were from the following places - Two from Brisbane, one from Toowoomba, one from Mackay, one from Sandhurst, and one from Melbourne. 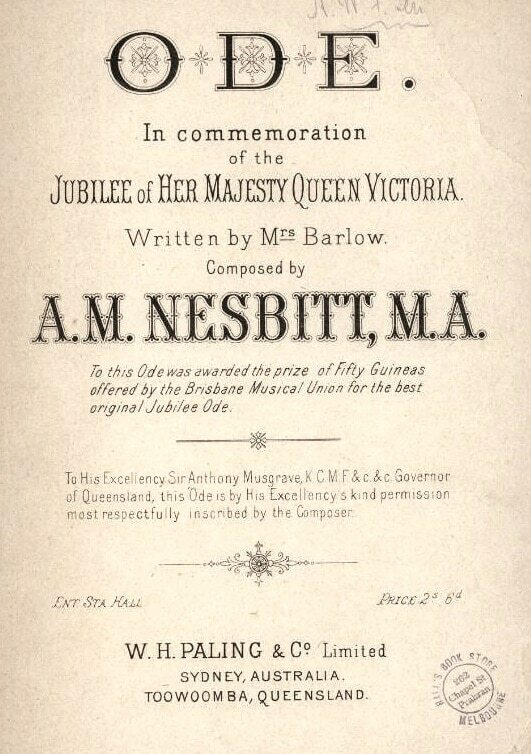 The words of the prize jubilee ode for which Mr. A. M. Nesbitt composed the music, were written by Mrs. Barlow, of Toowoomba . . .
A. M. Nesbitt, the youngest son of P. R. Nesbitt, M.D. (formerly a great lunacy specialist), was educated in Brace Castle School, Tottenham, London, under Mr. Arthur Hill (a brother of Sir Howland Hill, of penny postage fame), and later under Dr. G. Birkbeck Hill. He had a distinguished academical career in the University of Oxford, obtaining an open scholarship in mathematics at his college, a first-class in mathematical moderations in 1874, and a first-class in the Final Honors School of Mathematics in the year 1876. Mr. Nesbitt was also proxime accessit for the Junior University Mathematical Scholarship, and received a special grant from the University chest as a honorarium for ability, as shown in the nomination for that scholarship. In 1877 he was appointed mathematical master of the Manchester Grammar School, in which there are upward of 900 boys. In 1882 Mr. Nesbitt was selected by the Agent-General for Queensland, with the advice of the Dean of Westminster, to fill the position of head master of the Grammar School, Toowoomba, Queensland, which post he recently resigned to accept the appointment of assistant lecturer on mathematics and natural philosophy in Trinity College, Melbourne. During his residence in Queensland, Mr. Nesbitt gained the prize offered for a musical work in celebration of her Majesty's jubilee year. The ode is an excellent piece of work, and is written for solo voices, chorus, and full orchestra; and Mr. Nesbitt showed throughout that he is a thoroughly educated and competent musician. The melody in the prayer in seven parts, and a soprano solo in G major, are very beautiful, as is the orchestral introduction. The air in D, "Then let our loyalty," bears some resemblance to some of Handel's compositions. The ode is a credit to the composer, as well as to the musical judgment of Queensland. It was published with a beautifully illustrated wrapper by Messrs. Paling and Company, limited, Sydney. Mr. Nesbitt is also the author of some songs written in a happy melodic vein, with technical accuracy. Of these the "Dawn of Ambition" deserves special notice.
. . . A minuet in D, by A. M. Nesbitt, was the one novelty in this programme. It is fresh enough even to have satisfied Haydn, who longed for the man who would write a new minuet. In regulation time of 3-4 this pretty work presents a rhythmic and cheerful, and at the same time elegant, tune of distinct character, and well instrumented for orchestra; and this was followed by a trio movement, distinct, but still in keeping, and throughout the whole the harmonies are sweet and the progressions are genial and acceptable, and altogether the little work is good introduction of its author to the Melbourne public, because Mr. A. M. Nesbitt, M.A., is resident here and has done greater work than this minuet. More about him is to be heard in future. This first presentment here was well received, as it deserved to be . . .
We have received a new song entitled "Bonnie Wee Thing," words by Robert Burns, music by A. M. Nesbitt, M.A., and published by Wickins and Co., New Bond street, London . . . The Promenade Concerts at the Exhibition building have become so popular that even on Saturday evening, with unfavourable weather, the large concert-hall was well filled. The management on this occasion departed from the practice of presenting a miscellaneous two-part programme of popular songs by substituting for the second part Mr. A. M. Nesbitt's "Jubilee Ode," which was performed by the Ormond Choral Society, with Miss Lalla Miranda, Miss Ada Crossley, Mr. H. Stockwell, and Mr. A. H. Gee as soloists. It is doubtful whether the introduction of such music at promenade concerts will tend to increase their popularity, but there is no doubt that Mr. Nesbitt's role would have been much better received, as it deserved to be, had it been performed in the first part of the concert. As it was a large proportion of the audience walked out in the middle of the performance. The work as rendered on Saturday night consists of a chorus, "Hark, what sounds;" a duet for contralto and tenor, "O queen of English hearts;" recitative and air for baritone, "Then let our loyalty;" chorus, "Where the northern iceberg glitters;" soprano solo and chorus, "Look down, O Lord;" and concluding chorus, "Vivat Regina." The composer who was awarded the prize of 50 guineas by the Brisbane Musical Union for the best original jubilee ode, has evidently striven to write music that would properly express and convey the sentiments contained in the ode, and his efforts in this direction have been remarkably successful. It is undoubtedly the production of a sound musician, and some of the choruses, especially "Lookdown, O Lord" and " Vivat Regina," are very effective. The work was fairly well rendered under the baton of Mr. W. J. Turner, and the instrumental accompaniment was provided by Mr. A. J. Ellerker at a cabinet organ and Mr. E. R. G. W. Andrews at the pianoforte. The first part of the concert was very much enjoyed, the vocalists being Miss Lalla Miranda, Miss Isabel Webster, Miss Ada Crossley, Mr. H. Stockwell, Mr. James Wood, Signor Buzzi, Mr. A. H. Gee, and Signor de Alba, all of whom acquitted themselves well. Mr. Turner played the organ solo, Bach's fugue "St. Ann's," in a praiseworthy manner, and the military band, as usual, played several selections under the dome. HOWARD CONSERVATOIRE of MUSIC. Director, Madame Houyet Howard. Mr. A. M. Nesbitt, M. A., will take charge of the Orchestral class. Mr. Nesbitt has had long experience both as musician and teacher. FIRST MEETING of the ORCHESTRA SATURDAY, MARCH 6, 3 p.m. All instrumental students are requested to attend. The death occurred at his residence, 53 Finch street, on Saturday of Mr. Alfred Mortimer Nesbitt, M.A. (Oxon.). Mr. Nesbitt came out from England in 1882 to take charge of the Toowoomba Grammar School Queensland. Subsequently he was appointed lecturer and examiner in mathematics at the Melbourne University, which position he held until a short time before his death. For some years previously he acted as musical critic of the "Age." A no. 11 Upt Grand PF Rosewood a to a no. 82600, £75, tuning hammer, zinc and deal cases marked NNN Melbourne, delivered at SWI [South West India] Docks to ship per Gulf of Mexico. Shipping expenses and freight £2-0-6. Insurance 18/6. We to receive no. 7 RW from ditto to credit, one instrument in lieu of the other. We to pay freight and insurance of the no. 11, no charge. B/L [bill of lading] to order of Mr Nesbitt to be sent to him. Wales [name of the porter, who would have delivered piano to docks in London]. Some good pieces of music also were performed by a band of youthful musicians, under the direction of Mr. Traeger [Draeger]. Amongst the performances, we noticed as very creditable those of Franz Beyer and Hugo Muecke, on the violin; of Hermann Nettelbeck on the German flute; and of Richard Sobels on the bassoon. The oldest of these performers does not exceed their teen years of age. Hermann Heinrich Samuel Nettelbeck, und Anna Wilhelmine Marie Nettelbeck, Hundert Nuriootpa, Theil von Section 42, 31. Mai. The Adelaide Liedertafel celebrated their anniversary on Wednesday evening, December 22, and gave a grand concert in the Albert Hall, Pirie-street, followed by a supper and ball . . . In addition to the occasion being the anniversary of the Liedertafel, it was in honour of the birthday of a musical composer the Liedertafel delight to honour, viz., the celebrated Franz Abt, who is their patron. The programme was very appropriately made up solely of compositions by Franz Abt himself . . . Messrs. Mumme, Nettelbeck, Otto, a nd Christen sang "Roth Roeslein," a beautiful quartette expressly composed for the Liedertafel by Franz Abt . . .
NETTELBECK.-On the 26th May, at Private Hospital, Adelaide, Hermann H. S. Nettelbeck, late of Kent Town, aged 78 years, a colonist of 69 years. On 1 April 1811, George Neville, listed in the register as "musician", was married at St. Philip's, Sydney; widowed shortly afterward, he remarried on 27 July 1811. There is no other record of him. Jacob Neville, a piano tuner formerly of Andrew Ellard's music warehouse in Dublin ("besides, an accomplished musician ... a great acquisition to the Colony") arrived in Hobart in March 1835, bound for Sydney. His first advertisement announced he could be contacted care of either the music seller Sophia Letitia Davis or Joseph Reichenberg. In fact, Neville stayed on in Tasmania, working as a piano tuner in Hobart and Launceston, but died after being thrown by his horse in March 1836. His widow, only 17 years old, was taken in by Reichenberg and his first wife Angelica, Joseph Reichenberg having been a witness to the Nevilles' marriage the previous year. Pianofortes buffed, tuned, repaired, &c. MR. J. NEVILLE, late of Mr Ellard's Musical Instrument Manufactory, Sackville street, Dublin, having lately arrived in this colony, on his way to Sydney and purposing from the encouragement he has received to remain in Hobart town for a short time, and during his stay he will buff, tune, and repair Pianofortes so as to give satisfaction to those that may employ him. Any commands left with Mrs. Davis, at her Music-warehouse, Elizabeth-street, Mr. Reichenberg, Davey street, or at the office of this paper, will be punctually attended to. Mr, Neville will attend country orders. Jan. 15. Suddenly, at Launceston, Van Dieman's Land, Jacob Grace [sic] Neville, second son of the late Jacob Neville, Esq., of Dublin. As we are always desirous of encouraging industry and talent whenever and wherever it may be met with, we call the attention of our readers, and especially of the musical public of Sydney, to a new pianoforte, made by Mr. C. Newlyn, of Castlereagh-street. It is the first one of the kind that has been manufactured in the colonies, being a check or double action. The whole of the instrument has been made by Mr. Newlyn, and the perseverance with which he has devoted his leisure time to this work is worthy of all encouragement. The piano is a cottage, of rosewood, has a compass of seven octaves; the materials are all well seasoned, veneered on colonial cedar. It has a beautiful, clear, bell-like tone, producing a reverberation with great celerity - exceedingly useful for rapid execution - by the impossibility of any note refusing its effect; the slightest touch consequent on this action producing its full and pure sound. The treble is particularly clear. The instrument contains all the modern improvements; the studs are of cedar; and the whole complicated workmanship, very different from that of other instruments, reflects the greatest credit on the manufacturer. We are informed by Mr. Samuel Greenwood, organist and choirmaster of St. John's Church, that Arthur Ernest Nickson, the successful candidate for the Clarke Scholarship, was his pupil for years and only recently took lessons from Mr. Ernest Wood. THIS EVENING, third and positively the last performance on Two Patent Harmoniums. PROGRAMME . . .
4. There is a Flower that bloometh; Signor Nicolo - Wallace . . .
1. Duetto - Giorno Dorrore; Signor Nicolo and Madame Gautrot - Rossini . . .
3. The Wind and the Beam; Signor Nicolo - Blockley . . . The announcement of the last exhibition of that ingenious instrument the Harmonium attracted a select assemblage at the Royal Hotel on Wednesday evening. The entertainments passed off successfully, with the exception of the vocal experimentalising of a Signor Nicolo, whose most uncouth harmony irresistibly reminded us of the all but inaudible humming of a bee in a bottle. It was pretty generally whispered through the room that the young gentleman had clandestinely strayed from the maternal bosom, oblivious of his petticoats; for with which of the sexes he claims identity is to this hour, with us, a matter admitting of argument. Daughters of the English musician George Henry Niebour (c.1788-1850) and his wife Jane Sexton. MISS M. NEIBOUR continues to give Lessons on the Pianoforte, Spanish Guitar, and Singing, at her own residence or her pupils. Terms - Four lessons, One Guinea. Money expected to be paid in advance, either by the lesson or quarter. Address - Mrs. Hodgkinson, Franklin-street, East. MISS NIEBOUR begs to return thanks for the kind patronage she has hitherto received from her patrons, and trusts to have a continuance of their favours. Miss Niebour begs also to announce that her Sister has just arrived in the colony, who will assist her in her duties. Grenfell-street, Adelaide. On the 1st instant, at North Adelaide, Mr. E. Caldwell, late of Southampton, in the county of Hants, to Katharine Niebour, daughter of G. H. Niebour, Esq., of Uxbridge, Middlesex. MRS. CALDWELL and Miss M. NIEBOUR, daughters of the late G. H. Niebour, Music Composer, Director, Leader, and Bandmaster to his late Majesty King William the Fourth's private band, and organist of the Chapel Royal - respectfully solicit the patronage of the ladies of Sydney and its vicinity, in teaching the harp, pianofortes, Spanish guitar, concertina, and singing. According to Diane Barwick (1984) the sons of old Ningulabul - younger Ningulabul, Winberri/Windberry (shot in October 1840 Lettsom raid) and Ner-rim-bin-uk/Nurmbinuck/Young winberri, were "all famed song-makers", able "to pass safely through different remote tribes". Winberri was leader of a party accused of an attack on the station of Mr Snodgrass on the Goulburn River, and captured by Major Lettsom in an illegal chase along the Heidelberg road on 11 October 1840. Winberri was shot dead in the roundup, but was quoted by the hut keeper who was robbed: "[Winberri] said that the sheep eat the grass belonging to his kangaroo, and white fellow took kangaroo and what for no give him sheep?" Born Gallowgate, Newcastle-on-Tyne, England, ? Mr. Nish is known to the public as the musical director of the company; and to him we are indebted, not only for the beautiful accompaniments to the various pieces, but for the exquisite manner in which he executes them on the violin. The "Anglo Australian" in London writing in the European Mail of the 30th October, remarks: Those of my readers who remember the performances of the Christy Minstrels will be grieved to hear of the death of Mr. Anthony Nish, at the early age of 43 years. The Christys, though performing with on diminished success at St. James's Hall, have sustained a very serious loss, and the frequenters of their performances will long remember the delightful strains of that talented instrumentalist. The company at St. James's Hall paid every mark of respect to the memory of their cherished associate, and testified further by their feelingly chanting over his grave their sorrow for the companion who had gone. We may add to this, that Anthony Nish, born in the Gallowgate, Newcastle-on-Tyne, was a schoolfellow of Mr. J. H. Melvyn, now of Launceston, and they were members of the same choir. Nish went to America when young and returned to England with the original Christy Minstrels- managed by Rayner and Pierce. They were joined by Mr. Melvyn and made a brilliant and highly successful tour through the three kingdoms, and then went on the continent. They had the honor of performing before the late Emperor Maximilian at the Tulleries. Their success in the colonies during their tour in 1863 will be remembered by most colonists. Mr. Nish was the composer of "Emmeline" and "Hoop de dooden do," re-arranged music for "Come where my love lies dreaming," and many other popular pieces. CHRISTY MINSTRELS. The following particulars of the whereabouts of the members of the first lot of "knights of the burnt cork" who visited Australia under the above title, extracted from the New York Clipper of December 12, will I be read with interest: - "J. Stewart is now in Edinburgh, Scotland. Wash Norton is now performing with Kelly and Leon's Minstrels, Chicago, Ill.. P. Maxey was Max Irwin, who died in Adelaide, Australia, August 9, 1864. J. H. Melvyn is teaching music at Launceston, Tasmania. T. Rainford is travelling with an English opera company in Australia. Carl Steele was with Dan Bryant's Minstrels, in this city, during the season of 1873-4, but is now in Germany. Anthony Nish was the musical director of Moore and Burgess's Minstrels, London, England, for some years prior to his death, which occurred October 3, 1874. Edward Harvey is with Hughy Dougherty in the Diamond Fields, Cape of Good Hope, South Africa." Anthony Nish was well known for many years as a minstrel "leader." His first theatrical appearance was in the 50's, with Parham's Minstrels. July 11, 1857, he sailed for England with Raynor and Pierce's "Christy" Minstrels, opening in London, August 3, following. He continued with this company for a lengthy period, later organizing a troupe of his own. He finally returned to London, and was with Moore and Burgess' Minstrels for many years. He was born in New Castle, England; he died in London, England, October 3, 1874; age 39 years. Now I must tell you of your pets - the children - commencing with dear Harriet as being the eldest. She and Mary were staying with me five weeks during Mrs. Nixon's confinement. They were most tractable and good as any children would be, and seemed delighted in being again with me. Of course, being visitors, I no longer exerted my authority as governess; nor, indeed, was it required. They are both grown; Harriett, I think, improved in temper and certainly more gentle in manner than formerly, and very affectionate, and improved in her general education. As to the musical branch of it, I can't say much about that, but it will be very creditable to her if she ever does anything in it, considering all the interruptions she has had. She learns dancing and also the gymnastic exercises that are so essential for an awkward child, but these lessons are at the enormous rate of £ per annum. I believe education generally is very expensive in this Colony, notwithstanding the depression of the times. It is very difficult to meet with a real gentlewoman who teaches - the society generally is quite second-rate. You do meet with a few here and there who are lady-like persons, but they are very scarce - there are decidedly more gentlemen than ladies. But I am digressing. I meant to say that Harriet has not yet commenced music upon an instrument. Whether she is to begin to learn the organ is uncertain, though I think her father wishes her to have lessons from Mrs. Elliott, who is the organist at St. David's. Our organ is a great delight to me. I continue to play every Sunday evening at St. David's. Dec. 16. - Was introduced to Dr. Nixon, the Bishop of Tasmania, who received me with great good nature, and talked much and well on many subjects. Dr. Nixon is by no means an ordinary character. Gifted with great impromptu eloquence, he is a sound divine, for he has published a standard work on our Catechism, the best that we have. He plays the organ admirably, and can compose music. He is an excellent painter in oils and water-colours, and sketches beautifully. He is a good scholar, and is indefatigable in his pastoral labours. Yet this excellent prelate has very many enemies in his diocese, of whom some, I am sorry to say, call themselves Church-people. He is a firm friend to all his right-thinking clergy, and supports them to the uttermost in carrying out that which he conceives conducive to the interests of the Church. Splendid Rosewood Grand Piano-forte. TO be disposed of, a Brilliant and Full-toned three-stringed Rosewood Grand PIANO- FORTE, compass 6 7-8ths. This instrument was a few months since imported to the order of the owner (Miss Nixon, Bishopstowe) from the house of Messrs. Broadwood and Sons, and is parted with solely on account of the family leaving for England. Full particulars may be known on application to Mr. PACKER, Professor of Music, 19 Davey-street. [intro. ]: Mrs. Nixon's duties were manifold, as Bishop's Secretary writing and copying often far into the night (no typewriter in those days! ), showing hospitality to all and sundry, taking Sunday School and Confirmation Classes, playing the organ for church services, visiting and nursing sick neighbours, etc. The 1814 muster lists George Nook, described as a "fiddler", living in Sydney, having arrived on the transport Minorca. MRS. NORMAN, pupil of Sir G. Smart and Chatterton, respectfully announces to the inhabitants of Melbourne and its vicinity that she is now prepared to give lesions on the Piano Forte, Harp, and Singing, at her residence, No. 13, Russell-street, and she flatters herself that the same success will attend her effort for the advancement of her pupils that she has experienced in some of the first families in England. The incumbent, the Rev. J. M. Norman, preached earnest and practical sermons, while the grand music, which forms so pleasing a part of the church service, was well rendered by a strong choir under the leadership of Miss Norman. Norman came to Australia as musical director for the touring opera company formed by Julia Harland, Walter Sherwin, and Robert Farquharson. Mr. Linly Norman, a member of the Royal Academy of Music, and one who had a European as well as a colonial reputation for great ability in his profession, was found dead in his bed at the Union Inn about 7 o'clock on the morning of Saturday, the 16th October ... Dr. Miller was sent for, and as he had previously been consulted by Mr. Norman, the cause of death - rupture of a blood vessel - was so apparent that no inquest was deemed necessary. The remains of the talented but unfortunate Linly Norman were interred in the Church of England cemetery on Sunday afternoon, when between forty and fifty gentlemen, who respected the deceased for his amiable qualities and admired his brilliant musical talents, followed his remains to their last resting place. THIS eminent musician and composer arrived in Adelaide in 1856 with the English Opera Company as musical director. He was a pupil of Sir Geo. Smart, and subsequently enrolled in the Royal Academy. Leaving with honors he passed a second course under Mendelssohn, whose first six books of Lieder ohne Worte one of his surviving pupils, now here, heard him during repeated sittings in one-day recite from memory without omission of a single phrase. He left Adelaide, but returned in 1861, and remained five years. He was a peculiarly gifted instructor, extremely quiet in his teaching attitude, and those who studied under him yet testify how completely a lesson was imbibed in merely witnessing his performances, and catching his appropriate remarks and suggestions. This gifted son of genius removed to Tasmania, where a brief illness in October 1869 bereft our southern hemisphere of one of the most enlightened, unobtrusive and cultivated artists. "Norna" is the pseudonym of the composer of the The F. D. C. waltz in Henry Butler Stoney's The Tasmanian lyre (Hobart: Huxtable and Deakin, 1855). The name was probably derived from the steamship Norna. What does "F. D. C." stands for? Anyone? Under this title, a pretty waltz in the key of F, composed by Miss Emilie E. North has been published, and will no doubt be acceptable to many of our musical readers. It is neatly printed, and illustrated with an ink illustration of the native-rose. We have received from the composer, Emilie E. North, the "Anni Louise" waltzes, which have been lately issued from the press. The music consists of three distinct airs, all of which are lively, and which contain a good deal of originality. The time is well-marked throughout, and though there are several changes of keys, the piece is within the compass of an ordinary pianoforte player. The same composer is the authoress of the "Native Rose Waltz", which is now in its sixth edition. In the Divorce Court yesterday, a dissolution of the marriage of Edward Von Knorr, of Sandhurst, with his wife, was decreed. The petitioner was the husband from whom Mrs. Von Knorr eloped in January last with the co-respondent, William Northcott, a musician. There was no defence to the suit, the petitioner obtaining his decree without opposition. The friends of Mr. William Northcott, who originally founded the well-known Northcott's Band in this city (at present conducted by Mr. James Northcott), and who left Sandhurst for America some dozen years ago, where he has been since resident, will be glad to learn that he has acquired a high musical reputation in the United States. He occupied the position of solo cornetist in the musical combination at the Centennial Exhibition, Philadelphia, in 1870, and at the Permanent Exhibition in 1S77-78-79, and has performed in New York for GO consecutive nights. He is the author of a piece of music entitled "America," which is pronounced by the American press to be "a remarkable success." A copy of this composition has been received by Mr. James Northcott, and die music shows a range of compass from F in the ledger down to double B natural. Mr. W. Northcott has made an addition of eight full notes to his cornet, and is thus enabled to play "America" in four octaves, a feat which excited the greatest wonder in the minds of musicians. DUDLEY'S ASSEMBLY ROOM, North Williamstown. - A Series of Three GRAND CONCERTS will be given as above, Thursday, Friday, and Saturday, the 5th, 6th, and 7th inst, under tne patronage of Captain Pascoe, R. N., P. M. Artistes - Mesdames Annie Vitelli and Mrs. McDougal and Messrs. Gregg, Norton, Furrian. Pianist, Mrs. Mackie; Conductor, Mr. Vitelli. Admission, front seats, 3s. ; back, 2s. The opera of "Linda di Chamounix," which has now been twice produced upon the boards of the Princess's . . . has never before been produced in Melbourne in its entirety, some few of the scenes only having been placed upon the stage of the Royal with Madame Bishop as prima donna . . . The scene is laid in the valley of Chamounix in the Tyrol. Linda (Madame Anna Bishop) the daughter of Antonio, a small farmer (Mr. Farquharson), is persecuted with the unwelcome attentions of a neighboring proprietor, the Marquis de Boisflleury (Mr. Alfred Nelson), while she is the betrothed of Carlo Viscount de Serval (Mr. Norton), who has wooed her under the disguise of a painter . . . As may be expected the responsibility of the opera rests upon Madame Bishop, Madame Sara Flower, Mr. Norton, Mr. Farquharson, and Mr. Gregg, who all sustained their parts most admirably. Were we to make an exception, it would be in reference to Mr. Norton, who is quite new to the stage, and yet lacks much to make a good actor. He has, however, a fine voice, though uncultivated, a thorough knowledge of his part, and is evidently a good musician . . . The patrons of the new theatre were regaled on Wednesday evening with another of Donizetti's operas, "Linda di Chamouni," which was then produced for the first time ia Melbourne in a form approaching completeness. The opera, with the exception of the chief tenor part, was very strongly cast, and, everything considered, went well. The part of Carlo was entrusted to a gentleman named Norton, who being a complete novice to the stage, was not able to do justice to the composer. The audience, however, were disposed to be indulgent, and the debutant had nothing to complain of in respect of encouragement from them . . . We are not disposed to be harsh with Mr. Norton, for we believe that in this instance greatness had been "thrust upon him." He has, moreover, some of the qualifications without which, at least, no dramatic vocalist can arrive at eminence . . .
REPORT of a Deserter from the 11th Regiment of Foot. - Dated at Sydney, New South Wales, this 27th July, 1853. Man's Name, Stephen Nugent; age, 22 years and 8 months; size 5 feet 11 inches; complexion, fair; hair, sandy; eyes, grey; time of desertion, 21st July, 1853; place of desertion, Sydney, New South Wales; date of enlistment, 8th September, 1845; at what place enlisted, Chatham; parish and county, Fermay, Cork; trade, musician; dress, regimentals, white band jacket; remarks, tall and slight, hair cut close. Lt. Col. commanding 11th Regiment. EDUCATION. MRS. NUTT, now of Burdekin-terrace, Hyde Park, Sydney, has, in consequence of the increase in the number of her pupils, taken the centre house in Lyons-terrace, Sydney, and will RE-OPEN her SCHOOL there on the 28th January, 1861. In her new residence Mrs. Nutt will have enlarged accommodations for Boarders and Day Pupils, and would be glad of early applications. Mrs. Nutt holds credentials of having taught with success in the Earl of Leioestor's family in England. She also has a certifÃ­calo from M. Boulanger, testifying her ability to "impart a sound musical education;" and she was three years a pupil in a first-class sohool in Paris . . .
FRIDAY. BOULANGER V. NUTT. Elizabeth Nutt appeared, on the information of Kate Boulanger, charged with having unlawfully assaulted and beaten the complainant on the 7th August. Kate Boulanger swore: . . . [the defendant, Nutt] keeps a school in Lyon's-terrace; my husband lives in her house; I heard he was going to leave the colony, and as I did not wish to take out warrant for him, I called on him there . . . case dismissed. BOULANGER V. BOULANGER. Edward Boulanger appeared on the information of Kate Boulanger, his wife, charged with having on the 8th August, at Lyons-terrace, unlawfully assaulted and beaten her . . . Defendant fined 60s and costs of court. NUTT V. BOULANGER. Kate Boulanger appeared on information of Elizabeth Nutt, charged with having unlawfully assaulted and beaten her on the 7th August . . . Mr. Boulanger has a music class in my school; he and his wife lived in my house ten or eleven days; I have no ill-feeling to Mrs. Boulanger; sent her money for her and her mother to come up from Melbourne . . . Defendant fined 20s and costs of court. NUTT V. BOULANGER. Kate Boulanger appeared on information of Elizabeth Nutt, charging her with threatening to murder her, and praying that the said Kate Boulanger may be restrained . . . Case dismissed. BOULANGER V. BOULANGER. Kate Boulanger appeared upon information by Edward Boulanger, her husband, with having unlawfully assaulted him on the 7th August . . . Case dismissed.